Need help selecting an olive oil? 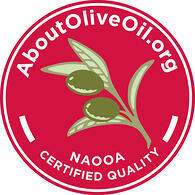 Check out this list of olive oils certified for both purity and quality by the North American Olive Oil Association. The North American Olive Oil Association (NAOOA) conducts the nation's largest olive oil testing and certification program. We collect samples of extra virgin olive oil and olive oil off-the-shelf and test them for the full range of purity parameters in the global trade standards set forth by the International Olive Council (IOC), a United Nations-chartered organization that has been recognized for more than 50 years as the worldwide quality-standard setting body for the olive oil industry. Brands that have opted to join our seal program agree to testing at least twice a year and their olive oils are tested for quality as well as purity. Brands in the NAOOA Quality Seal Program now represent more than one-third of the total tracked retail volume share of olive oil, plus a large share of private label olive oil volume. * Note: As of Jan 31, 2017, Wegman's is no longer participating in the NAOOA seal program. There are many brands of olive oils not listed above. Absence from the above list does not mean that there are issues with the olive oil. In addition to the Certified Quality Seal Program, the NAOOA has been monitoring the overall market and testing both member and non-member brands for more than 25 years. 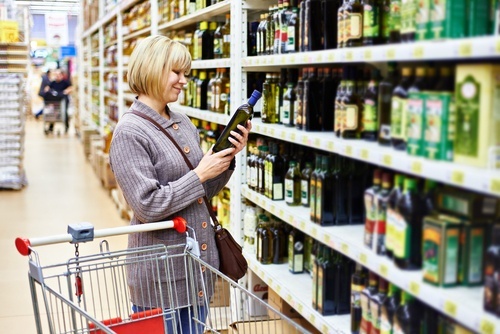 In the past three years, the NAOOA tested nearly 500 bottles of olive oil, averaging 167 bottles per year, with the brands collected representing about 40-50% of the total retail olive oil market each year. On average, 5% of the bottles tested didn’t meet the IOC standard, while the market share of the brands not meeting the standard was only 1% combined. You can feel confident purchasing olive oil in North America knowing that the vast majority of olive oils sold in our market meet global trade standards maintained by the IOC.